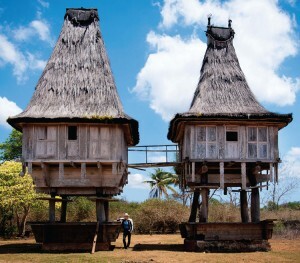 East Timor’s fledgling tourist industry is already attracting Aussie riders to this smiling country. Riding a motorbike is the best way to see East Timor. I had never been on an organised bike tour before but Timor Adventures made the country accessible. 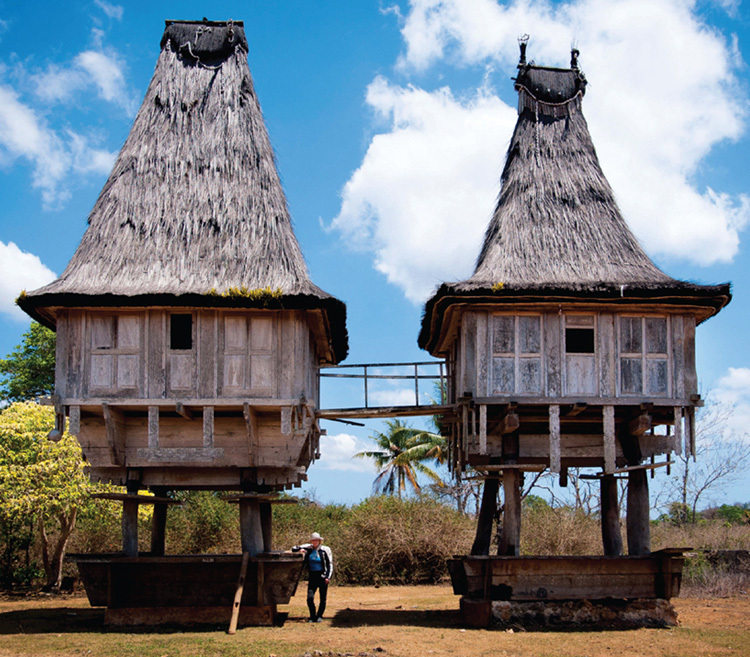 Tourism is a new concept in East Timor and the idea of foreigners being interested in visiting stuff is foreign to the Timorese. By the nature of their work, Dave and Shirley Carlos of Timor Adventures are not just showing Aussies East Timor, they’re helping to develop tourism in the young nation’s provinces and thereby increasing the opportunity for young people to work in the industry. With one of the highest population growth rates in the world, East Timor is truly a land of children and almost any time of the day there are hordes of kids streaming along the roadsides, going to or from the early or late shift at school. This was one of several reasons we rode at low speeds throughout our 13-day motorbike tour. However, the children were a constant delight, grinning, laughing, waving, reaching out to slap hands and yelling malai, malai, malai as we passed. At first I wondered how they knew I was malai — a foreigner, not one of them — because I was hidden inside a helmet and they couldn’t really see me. I soon realised that wearing riding boots, Draggin jeans, full armour in a cream-and-black jacket, full-face helmet and carrying a tankbag was a different look. The Timorese rode barefoot or in thongs, wearing shorts, T-shirt, open-face helmet, and mum and dad often had two or three children tucked around the bike, while some of the cool dudes had a rooster with its legs tied, draped across the tank — cockfighting doesn’t seem to be illegal. Another reason for low bike speeds was the state of the roads. Leaving Dili riding east along the beautiful coast, the surface was bitumen with some potholes. I had the Honda Megapro 150cc up to 84km/h and was feeling pretty cool when I hit a trench across the road. Nowhere to go but into it, up and out! I found myself beside the ride leader, who of course had slowed for it, but he just grinned and said hello. After that I became much more circumspect as the roads deteriorated further away from Dili. 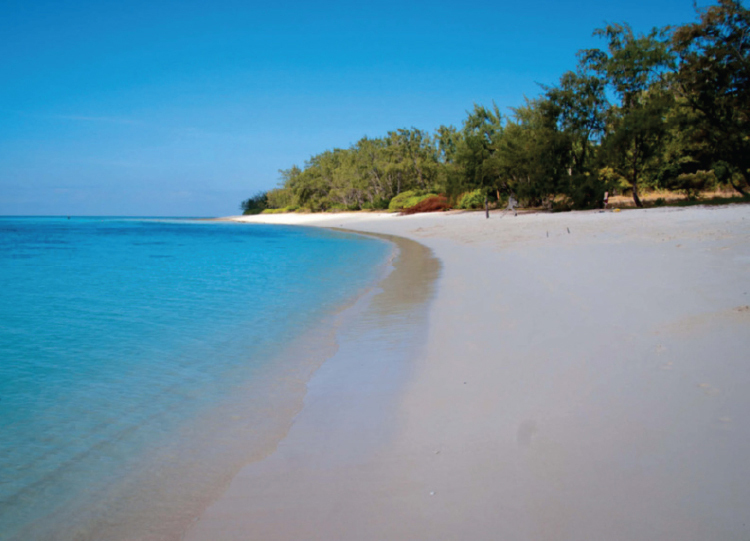 Our most easterly destination was Jaco Island where fishermen would take us swimming on the beach and snorkelling along the spectacular coral reef. Unfortunately, to get to where the fishermen were, we had to traverse 8km of road that must be high on the list of the world’s worst. In fact, I opted to leave my bike in Tutuala and travel down in the 4WD support vehicle and that was quite hairy! Later, in the west of the country, we encountered roads just as bad and I did ride them. I had more experience by then and the many sections of shocking road were maybe not as long, although distances are irrelevant, it’s travel time that counts. Shirley arranged for us to be the first visitors at a two-hectare coffee plantation in this country where tourism is only just beginning to take off. The family provided lunch and later took us on a walk through the coffee trees to a sacred well used for irrigation. We were told if the spring-fed well dried up, various rituals were performed, which indicated a large dollop of animism mixed in with Catholicism. Surprisingly, in a country where poverty is widespread and subsistence farming and/or fishing the norm, the idea of doing something for fun — such as riding motorcycles around East Timor — is completely understood. Jake from Adelaide had two colourful kites and flying them on a beach or a mountain pass inevitably drew a crowd of laughing kids, who chased around trying to be the one who picked up the kite if it came down. A Frisbee, soap bubble rings and balloons were other ways of interacting with the kids, who love to have fun. In every village there’s a soccer pitch — usually a flat area of rock-strewn dirt, sticks and a cross-piece for goal, with a slightly baggy volley ball being kicked around. When Dave used the tyre pump to inflate one of the new soccer balls we had brought along there were huge grins all around and the game went on until it was too dark. On the western leg of our ride, we visited Balibo and stood where five Australian journalists and camermen had watched the Indonesian navy advancing towards East Timor in 1975. I’m sure all of us were quietly reflecting on the horror of that time and the ensuing violence that overtook the country as it was forcibly made the 27th province of Indonesia. From Balibo we rode southeast to Bobonaro and Zumalai, this section of road being memorable because it was “under construction”. I’ve never seen a road being handmade before. There were young men and boys placing river pebbles and stones in a neat arrangement, others tended fires on which 44-gallon drums of tar rested. A few men had ladles on long poles which they dipped into the drums of molten tar then carried to the stone sections and poured. It was late afternoon but still warmish, about 28°C, and the men were wearing shorts and thongs. As we edged slowly past this scene, I was torn between staring in astonishment and watching out for mounds of loose gravel interspersed with potholes. Soon we were heading north to the beautiful town of Ainaro which shelters in a bowl formed by a spectacular mountain range. The president was visiting and hundreds of school children lined the route with sticks they had decorated with dry palm leaves. It was an exciting and busy time. I hope the pres took note of the road on his drive from Bobonaro to Ainaro! From there we rode up into the mountains, sometimes following valleys, other times traversing mountain passes; the road was reasonably good, having been built by the Japanese in 2006, a gift to the new nation, but some maintenance would be a good idea. In the hills above Maubisse we stayed at a recently opened eco-village and, with local guides, trekked up to a traditional village, passing a spectacular waterfall and plunge pool on the way. After a night of music, dancing and singing (I think that was singing — it was “Waltzing Matilda” anyway), we rode to Dili the next day. We spent beer times and meal times discussing history and politics, the impact that resulted from the destruction of 70 per cent of infrastructure in the violence of 1999, subsequent post-independence development and potential use of funds from the oil and gas fields in the Timor Sea. We didn’t solve any of the problems but we gave it a good go. On the other hand, we were able to solve tiny problems because we brought gifts of practical use, for example reading glasses for older members of the Women’s Weaving Co-operative in Los Palos, USB sticks for teachers and soccer balls eagerly accepted by village kids everywhere. Dave had musical instruments (donated by a school in Ballarat) for students at Loi Hunu school and we had a few basic language books that went to a teacher and students doing out-of-school hours English lessons in Balibo. This gave us interaction with East Timorese, learning a little about their everyday life. 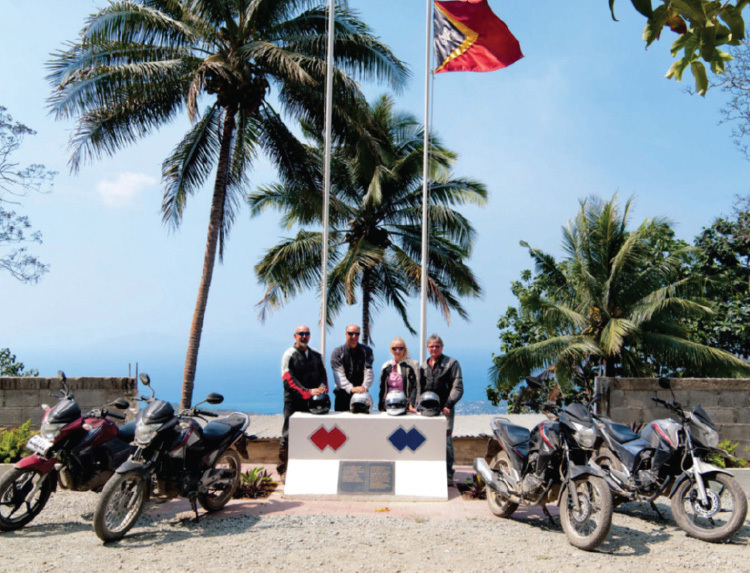 Our trip was organised by Timor Adventures, which runs fantastic tours for bikers as well as passengers in 4WDs. Its research meant we had the best available accommodation, cafes and restaurants, as well as good picnic spots for some of the lunch breaks. With a lead rider and support vehicle, we could enjoy the holiday rather than feel like we were on an endurance test.The bikes provided were perfect for the job they had to do and I came home elated that I had tackled some really difficult roads and gained new riding skills. Contact Timor Adventures on 0448 514 333 or visit www.timoradventures.com.au.